... just learnt how to move the pieces all the way to the World Chess Champion and grandmaster Magnus Carlsen. In the other hand, we can see a very important difference between amateur and professional players. Top players in the world are making mistakes but not very often. However, amateurs are making mistakes all the time and very often! More specifically, amateurs are making approximately the same mistakes. I created this new lesson in order to help you understand these mistakes and try to avoid them. Similarly, if you are little more advanced player and recognize one or more mistakes on your opponent play then you should be ready to punish him. If you are a beginner you may think that the difference between a modest amateur and a strong grandmaster is the number of mistakes they make. This is true but not the whole story. In one side of the coin everybody make mistakes, however in the other half the kind of mistakes are different. We can conclude that the amateur's mistakes are more serious and more effective for the game continuation. For example an amateur can blunder a piece, but a pro may miscalculate a variation of three to four moves ahead. There is one thing chess players at all levels have in common; we want to play better this game. The good news is that there is always room for improvement; stay on this website, Rules – Chess – Strategies, and I’ll teach how to improve in chess! I can show you the way and then it will take little more work from your side. Please remember that mistakes are always there and they are waiting you to make them. In this article you’ll learn the Top 10 Common Mistakes that players of all skill levels make. You can see the game which I provided in the first diagram of the video. This is a very well-known game and I'm going to analyze it in the future. You can say all of the didactic examples in the video tutorial which I prepared for you. Become patreon and support the website and YouTube channel. It's very important to keep your pieces coordinate and protect each other. In chess we a common term for this situation and we call it piece coordination! By that I don't only mean to occupy good squares, for example in the center of the board, but similarly to overprotect your pieces with other pieces. If one of your pieces are not very well protected then your opponent may finds a double attack in order to exploit your weak position. Unprotected pieces are giving a tactical target to your opponent, as you can see in the following games. In general it's a better to play following a bad plan than with no plan at all. But don't use this generality in order to justify your bad moves. Play chess without a plan is for sure one most frequent mistake that a beginner, and not only, can make. Each chess move must have an idea behind it! This is a very important to remember this rule and try to give some ideas behind your moves. Please try to give a reason for your next move and don't play with General ideas without carving a plan for all of your pieces. Your pieces are your friends and you should care about them, am I right? If I asked you which your favorite piece is, then probably you'll tell me your queen! I'm not sure if you already know that Queen wasn't always as powerful as it is today. In the past queen was another piece and it use to move diagonally only three squares. After the Great Isabella II of Spain, chess changed a lot! In order to honor Isabella they give more special role to the queen and he became the best and most powerful attacking piece. I used to love my queen and I'm very happy when I have it on my pieces because she can help me to perform brilliant attacks. However a very common mistake is to bring out your queen very early. Many players, and more specifically the amateurs, put their pieces on bad squares where they don't control important center squares, diagonals, or files. Some players put the knight on the edge of the board. This is the wrong strategy and you should not follow it. Similarly, it's very bad to play with your flank pawns because these pawns are not really helping your Rooks to activate. As you already may know the king's safety is obviously a top priority in a game of chess. Amateur players, and sometimes even stronger, postponing the castling because they can see no immediately threat, but it is very advisable especially in the first learning stages, to castle as soon as possible. The risks of keeping your king in the center are very high. As you can see in the first example, it's very simple to castle; all you have to do is to play your pawn to e4, then develop the Knight, then Bishop and then castling short. There are huge problems if your king is still in the center of the board, as you can discover by yourself in the above diagram. It's a very famous position and it's White's turn. What you will do? Where you are castling your pawns in front of the king are playing very important; to secure and protect your king. Many amateur players are considering pushing them in order to create an early attack, but this is a very common mistake and you should avoid it. The majority of chess players usually think about their own moves and complete ignore that there is an opponent who is sitting against them and he would like to win him as much as they are. You may was at the same situation once, thinking about yourself without considering the chances of the opponent, am I right? This is a vital mistake and one of the main reasons to lose a chess game. At the beginning of the game is very important to develop your pieces and not move the same pieces all the time. There are some openings which you're not controlling the center and for that reason your pieces could be under attack; for example Alekhine defense. 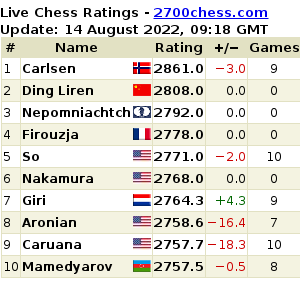 I'm not suggesting you to play such openings, unless you are very strong player, because it will be more difficult for you to handle them. The best strategy in the beginning is t put your pawns on e4 or d4 and builds your position behind them. I know that's really hard find everything overboard and for that reason I created this website and YouTube channel in order to help and give you some basic strategies. Usually the amateurs are trying to squeeze their opponents; however, they are falling to stalemate positions. It's very important to know the basic theoretical positions and how to coordinate your pieces in order to checkmate your opponent, like in this example. It have a lot of fun to play with traps and usually amateur players can fall into them very often. The only thing you have to do is to think twice before except the "Greek gifts" or a "Trojan Horse". Please try to remember that your opponent would like to win you and for that reason he would like to trick you by giving you the opportunity to capture something for free. Don't accept these rotten gifts and try to keep solid your position. I hope you enjoyed this lesson. Please remember to share this article with your friends; if you like it, then they would like it as well! !